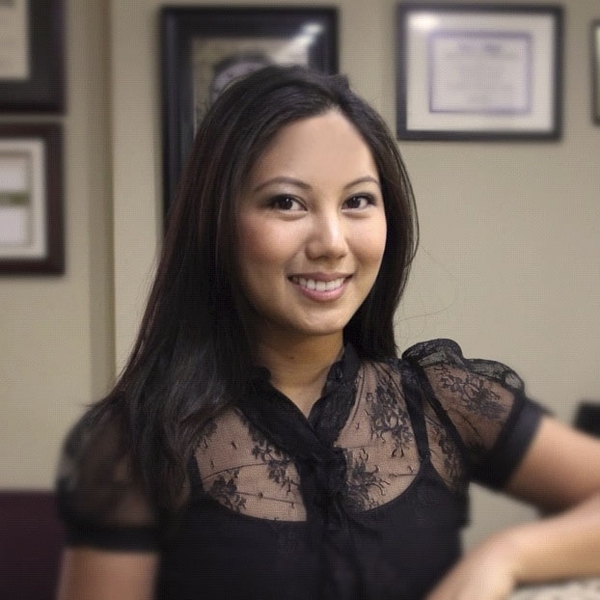 Torrance dentist, Dr. Melanie Navarro, was born in Dumaguete in the Philippines but has resided in Southern California from the age of seven. Dr. Navarro trained at the University of Southern California, first earning a degree in dental hygiene and later returning to pursue a doctorate in dentistry. Dr. Navarro is a general and cosmetic dentist in Torrance; her goal is to help patients achieve optimal dental health and appearance, ensuring that they maintain beautiful smiles. Her patients can expect to be treated with respect and compassion, to receive a thorough dental examination and to have their treatment choices explained clearly, in layman’s language. She enjoys caring for children, adults, and seniors. Dr. Navarro is a gentle and caring family dentist in Torrance, CA. Dr. Navarro practices conservative dentistry, focusing on prevention, and offers her patients the same high level of care she would provide for her own family. She keeps up with the latest advances in dentistry, with a commitment to continuing education and lifelong learning. She is a member in good standing of the American Dental Association, California Dental Association and the Los Angeles Dental Association. In her spare time, Torrance cosmetic dentist, Dr. Navarro enjoys spending time with her family, cycling on the beach and pursuing new adventures. Every dentist in our Torrance group dental practice recognizes their ability to enhance the lifestyles of our patients. As lifestyle enhancers, they take great pride in their ability, as dentists, to change the lives of our patients in a positive and meaningful way. Our Torrance dentists and dental specialists offer comprehensive dental services like, Cleaning and Prevention, Cosmetic Dentistry, CEREC, Periodontal Care, Restorations, Orthodontics, Oral and Maxillofacial Surgery, Teeth Whitening, Wisdom Teeth Extractions, Dental Implants, and Pediatric Dental Care.